your voice over job opportunities? 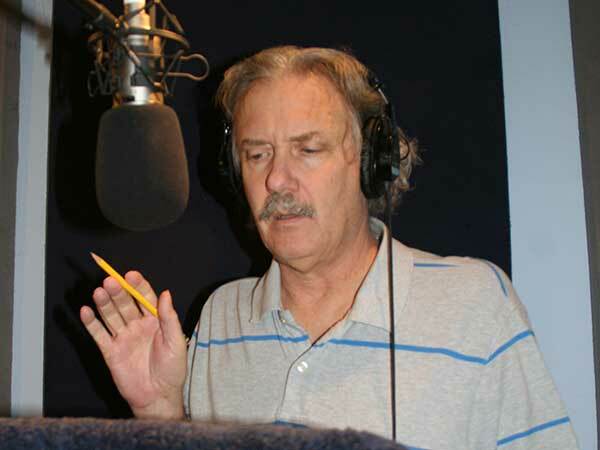 The latest trend in voice overs is to have your own home studio. This allows you to work from home and to accept work from anyone in the world. Often the scripts are sent to you via email and you interpret the script, record it, and return the finished files to the client. However this process requires that you fully understand the requirements of your client so that you can direct your own performance. But what if the clients wants to listen in and direct you as you record? This adds another layer of complexity to your studio setup so you can supply this capability with your studio gear. An easy and inexpensive way of doing this is with a Phone Patch. A Phone Patch is a electronic box that allows you to connect your mixer or digital audio interface to standard telephone lines. When you talk into your microphone the mic signal is routed to the telephone as if you are speaking into a telephone receiver. And when the client speaks, their voice is routed into your headphones. Also, when properly set up, you can play back recorded tracks for the client and they can hear that as well. Overall the experience feels like you're in a studio with the client in the control room speaking over the "talkback" mic. Allowing instant adjustment and correction of your performance gives you a much higher probability that the client will be satisfied with the end results. This reduces the need for retakes or pickups at a later date and makes the entire recording process more efficient and quicker. 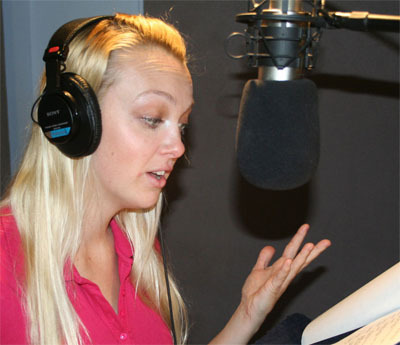 Today's voice over market includes online casting. This gives you the opportunity to perform for clients all over the world. And you want these clients to feel as comfortable hiring you as the talent who lives down the street. Directing with a phone patch session will make them feel like they're in the next room. They will experience your personality. They'll be able to judge your response to direction. You can solve pronunciation questions immediately. You can even chat about the weather or the Yankees (Dodgers, Cubs) chances this year. Remember building rapport with the client is an important part of voice over marketing. We all want to work with someone we like. The actual box that you buy to create a phone patch system is called a "hybrid." There are two types. The older version is analog and passive, meaning it doesn't require a power supply. The newer versions are digital and need power to operate. There are two benefits to the digital version. One is much greater separation of incoming signal from the outgoing signal. A regular phone needs to lower the incoming voice so it doesn't feedback into the outgoing signal. Callers don't want to hear their own voice coming back or worse a loud feedback whine. 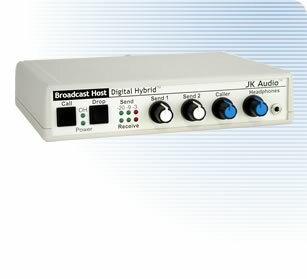 A digital hybrid can lower (attenuate) the signal by 50 dB. The second advantage is, since the unit is powered, you can supply gain to the signals. That means if you can't hear them or they can't hear you, you can turn the volume up. The analog hybrid does mix a bit of the two signals together but still provides 20dB of attenuation. And usually the phone signals are adequate so you don't have to turn anything up. Also if you're using a mixer you can supply some gain with the mixer. I can't go into specifics for each piece of hardware and recording software but you will need a mixing board or a seperate audio interface to hook up the hybrid. Most of the audio interfaces have "virtual" mixing capabilities which you can access from your recording software. So here's the secret to hooking it up. 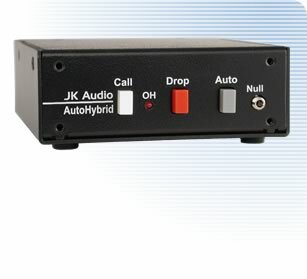 The hybrid also has a "line in" connector to which you supply signals that you want to go down the telephone line to the client. And it has a "line out" connector which supplies your mixer with the telephone signal from the caller. The Playback Tracks in--routed into the mixer so you can play back the recorded tracks and hear them in your headphones and have the client hear them on their phone. The client's voice in--coming from the telephone line via the hybrid's "line out" into the mixer. The signal out of the mixer back via the hybrid's "line in" to the client's phone for them to hear. "Mix" and "Mix Minus One"
Mix of inputs to the telephone via the hybrid. Exactly how you do this is specific to your hardware and software but this gives you the outline of what you're trying to acheive. The important point to note is you DON'T want the clients voice going back out to the telephone (hence the "minus one".) This will create the dreaded feedback loop. I've been doing mixing for years and this still makes me scratch my head. It's best to write it down and diagram it on a piece of paper. And save the paper so you don't have to decipher it again at a later date! Suppose you have a really simple recording system. Just your trusty USB mic and your laptop. Without the mixer or interface you can't use the telephone hybrid but there are other alternatives that can work almost as well. Remember the goal is for the client to hear you when you talk and for you to hear the client give direction. Here are some other ways to do this. • A wireless portable phone and a headset. I used this for years. The portable phone is connected to your landline (or VoIP phone such as a cable phone, Vonage, or even the remarkable MagicJack.) You then plug a headset into the receiver and clip it to your belt. Put the headset on and put your headphones over it. Voila! The client can hear you talk and you can hear them direct. • The same set-up with a cell phone. Simpler cell phones have a headset jack. Newer phones may need an adapter to use a headset but the principle is the same. A similar result can be acheived with a bluetooth hands-free device but I think the audio quality really degrades between the bluetooth and the cell phone. • You can use Skype. Skype is like an internet phone. It's free for Skype-to-Skype calls but there may be a charge for phone-to-Skype. With a little time spent in the "preferences" you can have Skype recognize your microphone as the input device and your headphones as the output. These alternatives all provide the two-way communication you need for a successful voice over session. The only drawback is you can't directly PLAY BACK the track if the client would like to hear it. I used to worry about this but, believe it or not, I've never had a client ask for a playback! Phone patch capability enhances your voice over service. Being directed in a session can speed up the session, provide a more acceptable read, demonstrate you ability to take direction and reduce the need for pickups and retakes at a later date. It will also be required for the more sophisticated--and lucrative--jobs. So use one of these methods to add phone patch to your studio and kick your voice over service up to a higher level.